my friend a desperately wanted to travel before we started school, but we needed something easy. we had limited time, a road trip was out of the question (she can’t drive 2 hours before getting sleepy), and i vetoed anything in-state. so seattle it was, and the travel guide to seattle: delicious not gorgeous edition was set in motion. perhaps a more appropriate title would be, how to eat at 17 restaurants in 3 days, which i find both revolting and impressive. i know that pike’s place is super touristy, but it was still super exciting. especially given the fact that i’ve been there before. once before i was old enough to remember, complete with old time-y pictures featuring my dad’s jet black hair (he’s been grey for years, so you know it’s been a while if his hair looks more saturated than usual), and once when my main memory was how grey my white jeans were by the time i left seattle. long winded way of saying: pike’s place was fantastic. we were on a fairly structured itinerary, because we had a lot of food to eat. but then all that wandering around pike’s place made me tempteddd, so we somehow ended up in choukette. they gave us samples of their chouquettes, or plain/unfilled cream puffs studded with huge pearl sugar crystals. 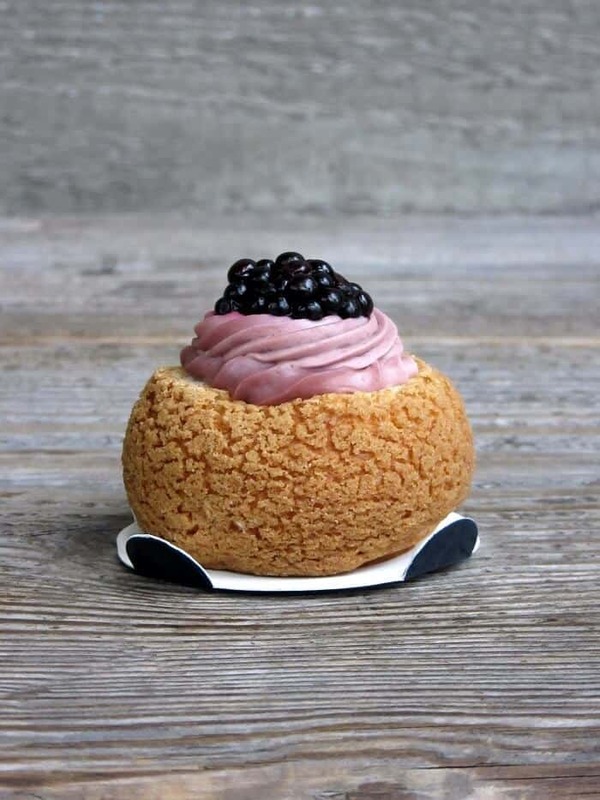 i loved how eggy they were, and somehow i walked out with a blackberry cream puff. whoops. i think whipped cream would have worked better than the super rich diplomat cream they had, but i still enjoyed it. a lot. 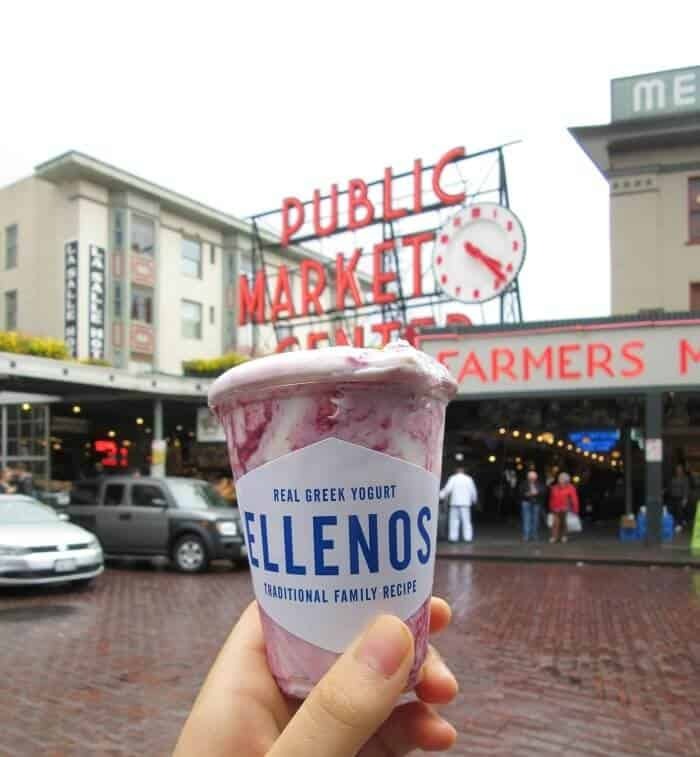 greek yogurt from elleno’s was a must do for us, mainly because my friend tried to go three times when she was here last summer, and they were closed all three times. we sampled the passionfruit but ended up going with the marionberry. their greek yogurt wasn’t as thick or sour as the kind i normally have for breakfast, and is much creamier and (obviously) sweeter. can they expand their grocery distribution to california? please and thank you. 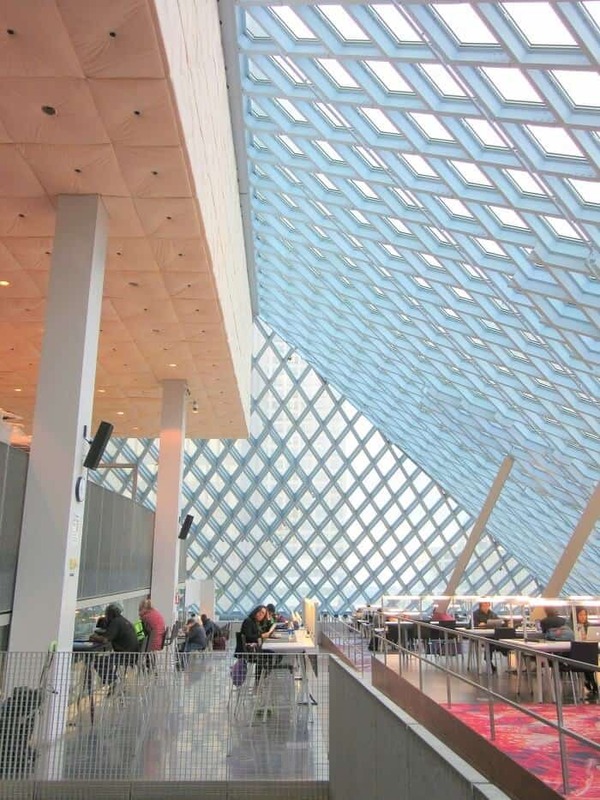 we wandered into the seattle public library to take shelter from the cold. look at everyone being productive while we were busy admiring it and taking pictures lol. i wasn’t super hyped about paseo (pic at the top of this post)but compromises on the itinerary makes for a good trip, so i went along with it. and dang, i’m glad i did. we had a carribean roast pork sandwich that was super juicy and generously stuffed with tender pork and massive pieces of onion and creamy sauce and gently spiced pickled jalapenos and crunchy lettuce. would recommend. 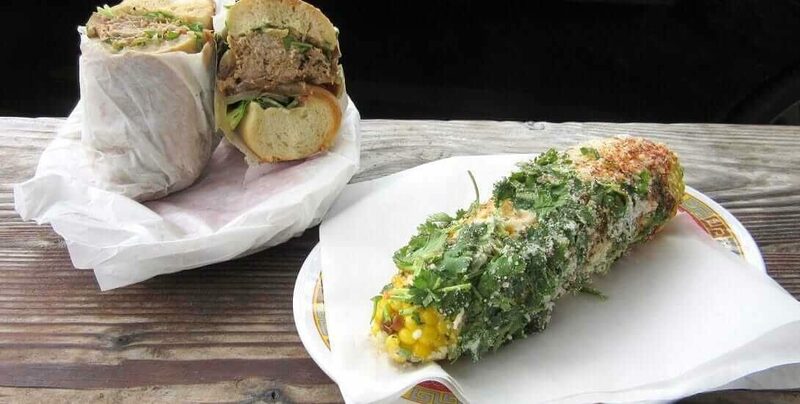 the corn was like a tame version of elote, in that it was creamy and cheesy and cilantro-y. tasty, but the sandwich is the real wow here. i’d seen coyle’s on a number of MUST GO NOW seattle lists scratch that. as i was preparing to link to those aforementioned lists, i tried looking them up, and realized coyle’s was not mentioned in any of them. 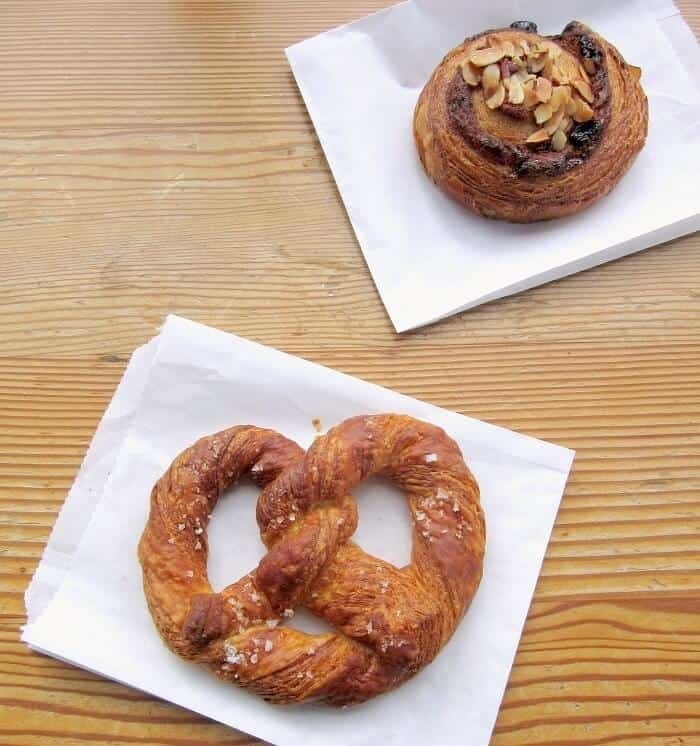 so, i have no idea how i found out about it, but we ended up there with two croissants, a pretzel and a cherry almond. the former was more pretzel-esque in appearance than flavor aside from the flaked salt. the cherry almond had dried cherries and plenty of my fave, almond paste. they were golden and crusty and flakey and very solid croissants, but not sure it was worth the buses and trek to get there. 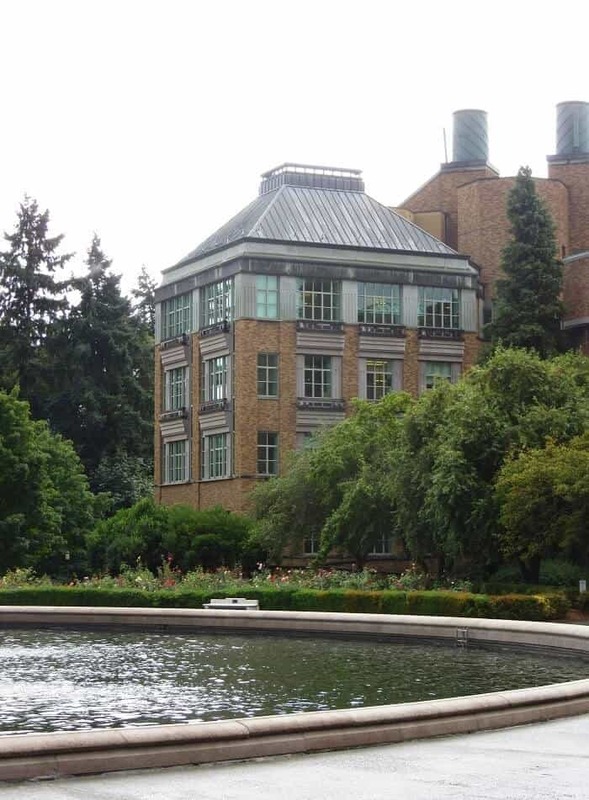 we wandered around the university of washington, and it was so majestic. except for the part when we were trying to get from their student center to university village, a shopping center nearby, and the rain decided to dump on us unexpectedly. and it poured so much that even given our waterproof gear and umbrellas, we got soaked and had the squishiest of socks and shoes the rest of the day. more seattle’s fault than specifically uw’s, but not a fan of capricious weather tantrums either way. good thing university village made up for all the squish. 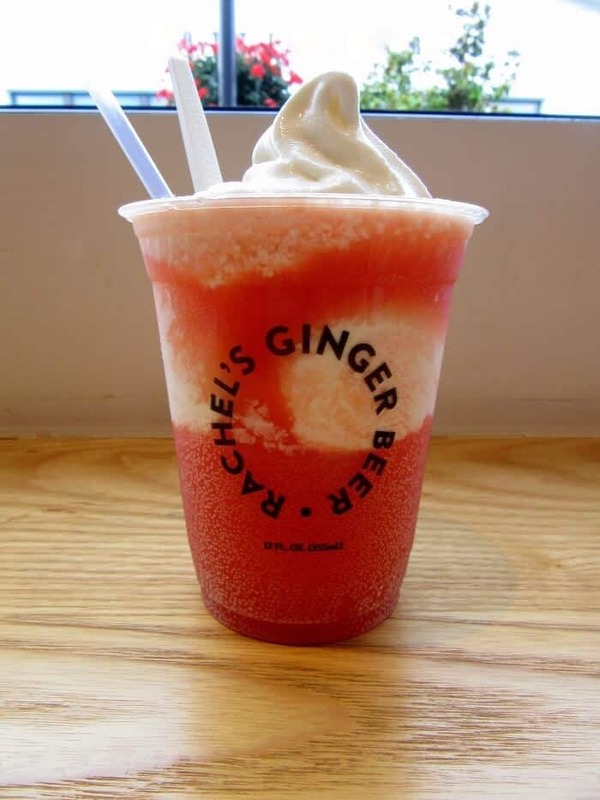 we got a blood orange ginger beer and vanilla soft serve float from rachel’s ginger beer, which was easily one of my favorite things from our trip. the blood orange ginger beer was super tart and paired well with the creamy sweet vanilla soft serve, and the combo of them together was like a magical cream soda. it is a steep $8.50 purchase, but if you share it (it’s pretty big for one person, so you really should share unless it’s one of those kinds of days, at which point i get you), then it’s very very very very worth. there was also a chocolaterie and pasta shop that i could have spend major time in if not for more pressing matters. i don’t have any good pics for delancey, even though this was the one place i absolutely had to get to on this trip. molly wizenberg was the first food blogger i read religiously, and i’d quote her first book so frequently i’m sure it was annoying. anyways, we ended up at the restaurant she co-owns, and feasted on jersey salad and salami pizza. 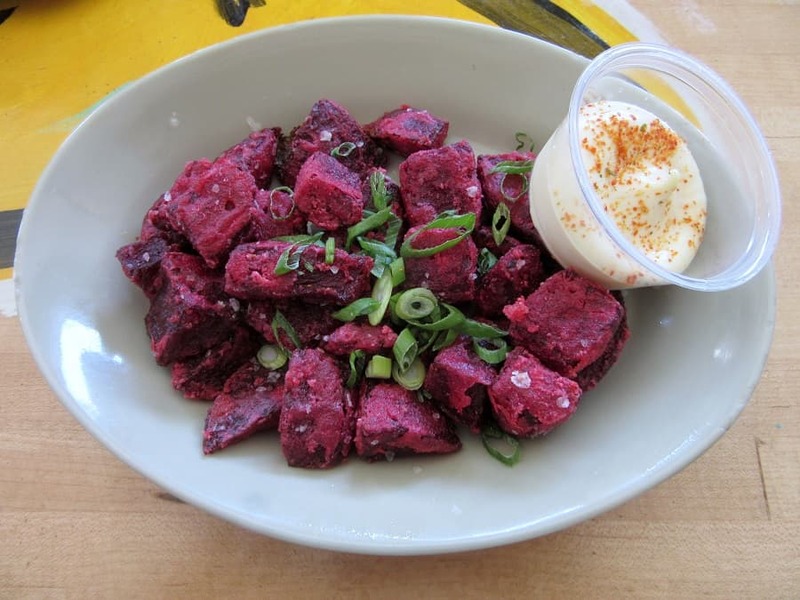 the salad was kind of non-descript, but we had gotten to the point where vegetables needed to be inserted into our bodies. the pizza crust was super crusty and crisp and bready, which i loved, and the salami edges rendered into the best salami chips. tyvm, molly wizenberg and brandon pettit and co.
one of the bites my mom really recommended was the coconut cream pie from dahlia bakery. it’s kind of basic, but sometimes you gotta be basic. so we got a coconut cream pie bite (2-3 bites, aka perfect bc we were not lacking for food on this trip). not for you if you aren’t into coconut and/or whipped cream, but i am, and thoroughly enjoyed my post-breakfast dessert. i justified this with some hot cereal (quinoa, oats, flax topped with brown sugar, almonds and blackberries). sosososo cozy and porridge-y but not slimy. crunchy toasted almonds, juicy blackberries, yeses. my friend’s ham egg sammy was easily 390239x better than the one we had at another place the day before. it came with a fried egg, cheddar (subbed for pepper jack), shallot dijonnaise and arugula on a obscenely good housemade english muffin. yday’s was lowkey one noted saltiness, but this was creamy and crunchy and salty and ungh so good. the english muffin was tangy and fluffy and crunchy and why aren’t more breakfast sandwiches on english muffins?! i know the space needle is super touristy, but we couldn’t not go. 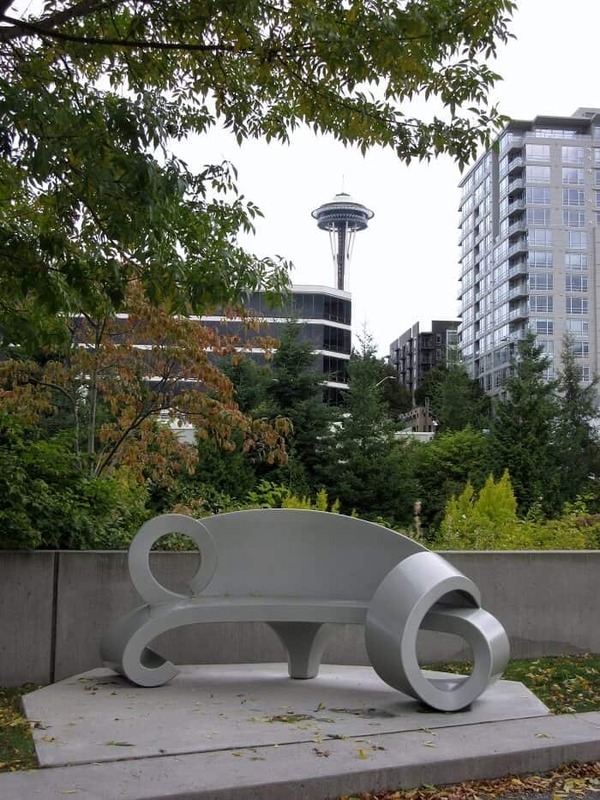 we spent some time at the olympic sculpture park, which may or may not have been inserted into our itinerary because as much as i want to, my body can’t handle eating non-stop all day. and those clouds may look ominous, but they luckily didn’t carrying through on their rainy threats. frankie & jo’s: this wasn’t supposed to be a stop, but we saw it on the way to general porpoise, and the rest was history. i mean, ice cream + cannelle et vanille collab?! i can’t. i tried the tahini choc which was fine but kind of minty (idk why). we ended up w the seasonal black rice pudding. the predominant flavor was coconut with a hint of cinnamon, with a plum jam swirl. 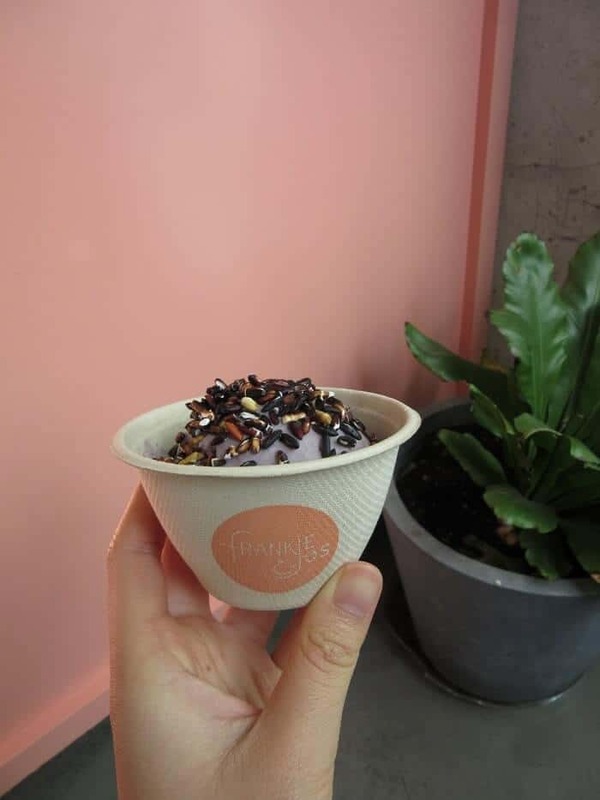 it had black rice on top, which looked kind of similar to beetles, but you can’t say they weren’t original!! I can’t believe how much Seattle you packed into three days. Sounds like a great time! And I want a cherry almond croissant now! seattle has so pretty dreamy carbs (and i’m sure i didn’t hit them all either!). You went to so many of my faves! Paseo is everything, glad you tried their absolute best sandwich! I’ve not been to Frankie/Jo’s yet. And, Ellenos. Yum – you should try the lemon curd next time, it’s like a decadent dessert, but it’s yogurt! Crazy. Glad you enjoyed Sea-town! my friend really wanted to go to paseo, but the description didn’t make me super excited. so glad we went though, since it blew past my expectations! and oh, i have tried the lemon curd version at elleno’s (: i was lucky enough to try it when my mom brought some back after she went to seattle a few years ago! super tasty, though i bet it would be even better fresh (she brought back one from a grocery store). I’ve only been to Seattle once but now I can’t wait to go back (I live about 3 hours away in Portland). I can’t wait to check out your recommendations! 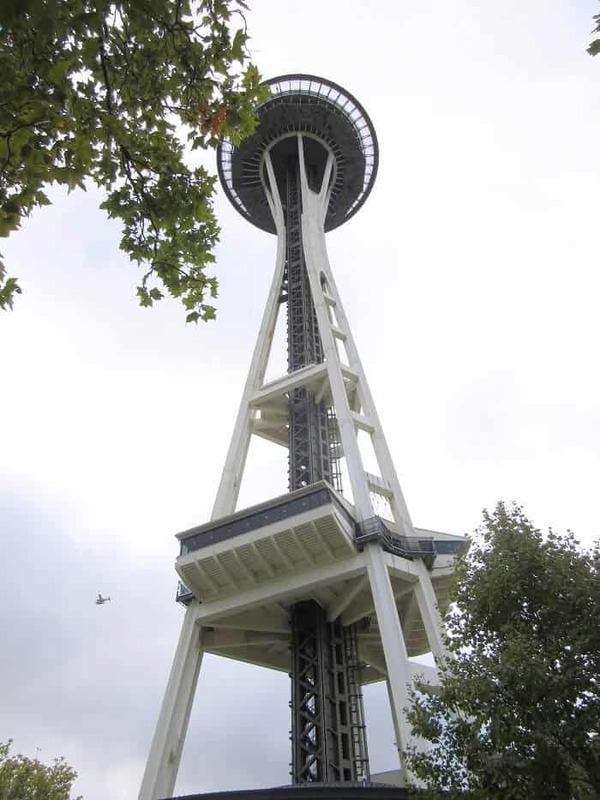 Did you go to the top of the needle? True confession time – I was a tad disappointed yet glad I experienced it once. i didn’t go to the top of the needle this trip. i did the last time i was there, a good 10 years ago (that makes me sound older than i really am lol), but didn’t remember it being cool enough to repeat. there are so many other cool vantage points that i don’t think it’s worth cramming in with the rest of the people to get up to the top of the needle! I haven’t been to Seattle since high school, and I’ve always been wanting to go back. Looks like you did the city justice!! Great travel guide! highly recommend! and it’s so cheap if you fly on southwest; i’m pretty sure our tickets were <$140 roundtrip. or you can make a roundtrip out of it (; though i think it's something like 15 hrs! This makes me miss Seattle. Wow! 17 restaurants in 3 days!? It’s impressive, but you must have been so full. 🙂 So many good eats! That blood orange ginger beer float looks heavenly (I love ginger beer). we didn’t have full meals at some places, and luckily i had a friend to split things with. but yeah, we counted and were like WHOOOPS and ate very healthy for a few days after we got back. Now I want to go to Seattle! 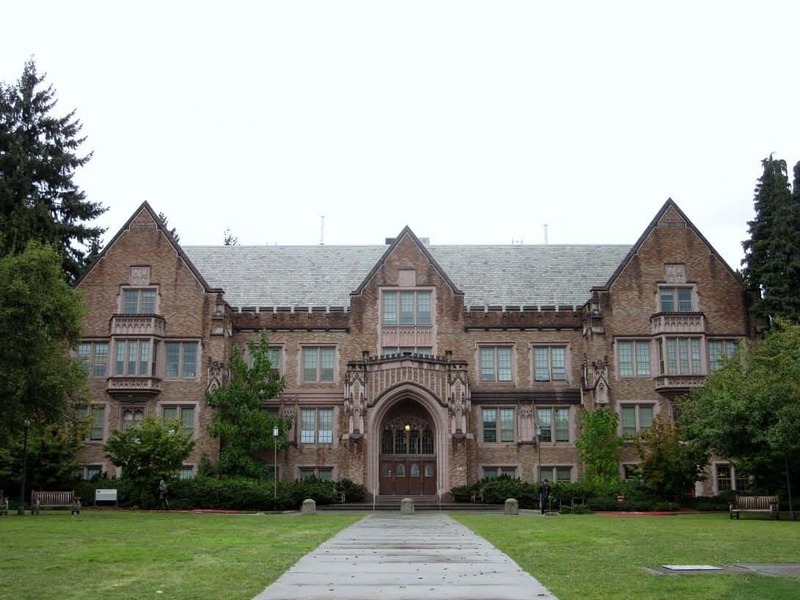 That library is beautiful! Have you been to Boston? You must go to the Boston Public Library if you haven’t yet. I’ve always wanted to go to Seattle just to visit Pike’s Place. After reading this post and seeing all the pics of gorgeous food and places, I really want to go now! 🙂 It would be bad if I lived anywhere near that greek yogurt place cos I’d be there every day. I am so friggin’ hungry and now I am thinking about the goods I wolfed down when I was in Seattle. I got some delicious cinnamon-y shawarma, HUBBA HUBBA and I got Japances and Poke too! Mmmm! Oh and SOOOO much salmon I basically turned into one! This is a great guide, that pretzel-y croissant looks so good! I’m impressed, 17 restaurants in 3 days is a lot of sampling. That must have been so fun (sorry about the soaking rain though)! The Caribbean roast pork sandwich sounds delicious! yes, lots of sampling (: the roast pork sandwich was so good!! and we weren’t hungry (at all, oops), but still happily finished it, which i think is indicative of how good it was. Aw, my old city. Used to live right by the space needle. Incredibly I recognize few of the places you went to – a testament to how many great new things are in the Emerald City! It makes me want to go visit my buddies. LOVE the Dahlia bakery! there’s a few things that i didn’t put on here. 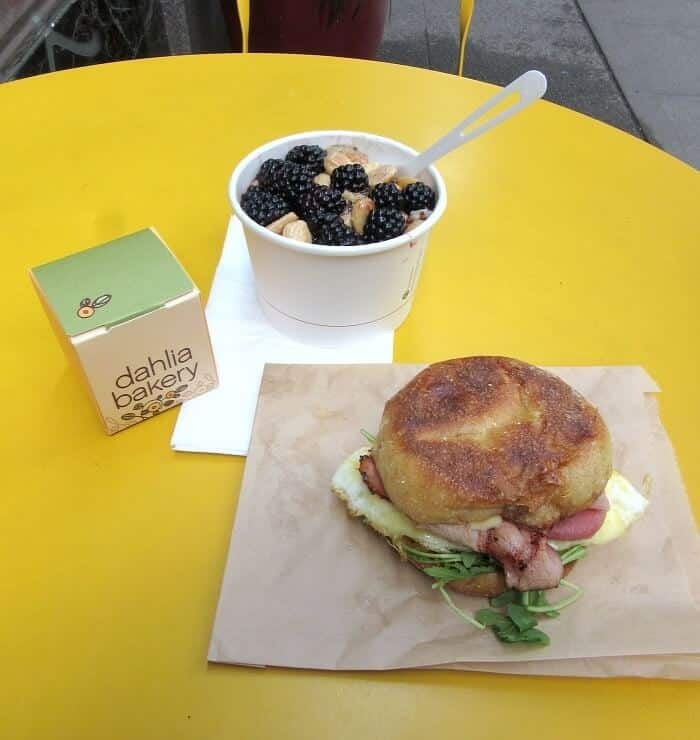 if there was everything, this post would have scrolled on for days (; dahlia bakery was so good, and my friend thought it was hilarious how much i waxed on about their hot cereal lol. 17 restaurants in 3 days is so impressive! All that food looks amazing I am so jealous. Seattle looks like so much fun. Girl, I am going to Seattle in a couple of weeks and this is perfect!!! 17 restaurants in 3 days is impressive! You guys had a lot of tasty food up there. Hope you didn’t get sick from being soaked from the rain! The breakfast sandwich is making me hungry XD. Hope you’ll have a chance to go back soon! neither of us got sick, luckily! (though this past december has been a doozy). hope you had an awesome time (and from what i remember of your post, you did, yay!!). ahhh yes haven’t explored the rest of washington state yet, but it looks so gorgeous! i also need to explore the oregon coast. I like the way your mind works! “Cram all the yummies in as less time as possible! !” Sleep is for the dead! haha! I’ve said this before, and I’m saying it now – you take the best trips ever and eat the neatest stuff – Now I’m craving a ginger beer float! haha 🙂 I’m curious if the black rice topping was hard to eat? Looks so cool! 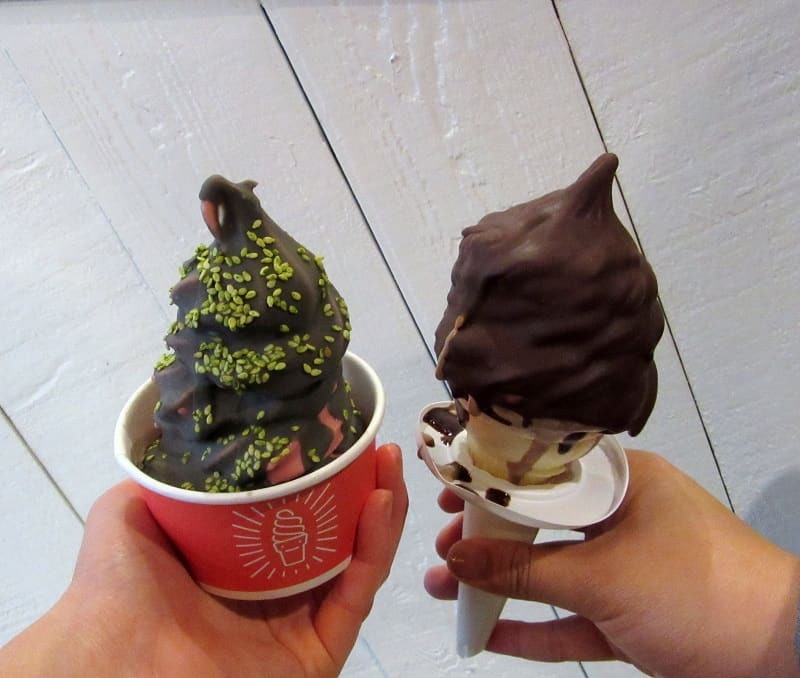 hahah yes, food > sleep (; the black rice on top of the ice cream was a bit harder than i would have preferred, since i was thinking it’d be more like puffed rice or something like that. still interesting/good though!